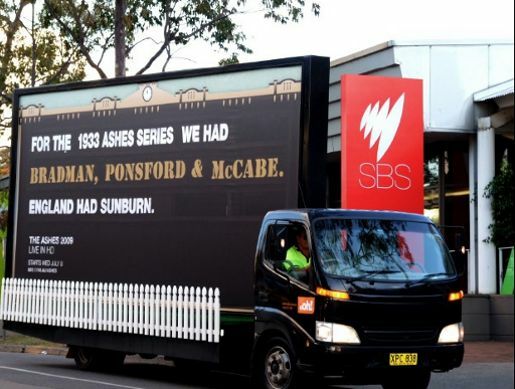 SBS coverage of the Ashes cricket series between England and Australia has been intensified with some traditional “sledging”, using a mobile billboard on a truck with provocative statements about the two teams. 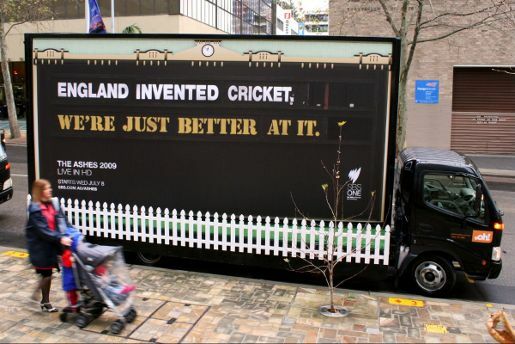 England invented cricket. We’re just better at it. For the 1933 Ashes series we had Bradman Ponsford & McCabe. England had sunburn. 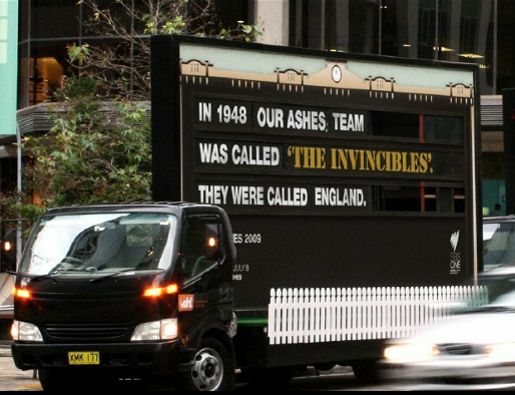 In 1948 our Ashes team was called The Invincibles. They were called England. The Cricket Truck campaign was developed at Us, Razor Group, Sydney, by creative director Josh Moore, art director Adrian Ely, copywriters Nigel Clark and David Roberts, art director Danny Wehbe, designer Louis Huosien, producer Jeff Edwards.